Dental decay (caries) and periodontal (gum) disease are among the most common diseases afflicting mankind, especially in the so-called advanced nations. 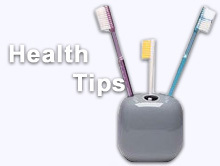 The higher the standard of living, the more likely it is for tooth loss to occur. As has been shown already, both dental caries and periodontal disease are the result of bacterial action, in the plaque, which collects on the teeth and gums. If it is possible to cleanse the mouth completely of the bacterial plaque and maintain it that way, there would be low incidence of tooth decay or any other gum problems. Dental diseases are not considered to be lethal and therefore attitudes on the part of governments and public are of a different nature. However, the cost of dental disease in pain, suffering, treatment and loss of work is enormous. Measures to reduce or eliminate dental problems would result in a vast benefit to the population.